The seven million specimens in the Museum’s collections are extensively used for research and teaching across the University of Oxford and other higher education institutions. 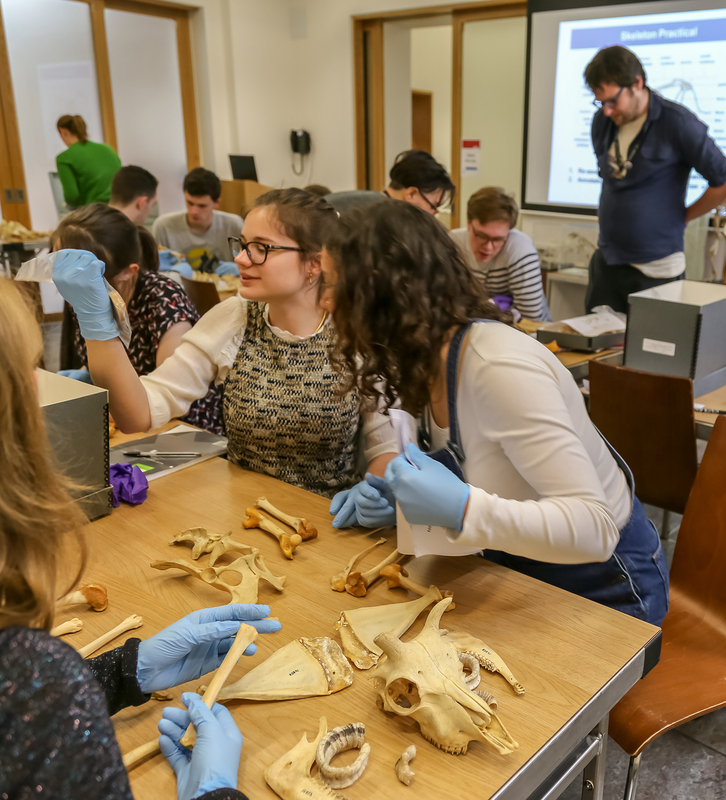 The Museum offers a wide range of activities to develop, support and deliver higher education teaching for the University of Oxford, as well as other higher education institutions in the UK and abroad. The Museum's collections and expertise cover a broad range of academic disciplines from zoology and palaeontology to the history of science, archaeology, anthropology, museum studies, teacher training, geography, design, tourism, library science and public engagement. Below is a list of some of the more common formats for using the museum in higher education, but our staff are keen to discuss and develop bespoke sessions to best facilitate teaching. Our displays are a rich resource for highlighting biodiversity, evolution, anatomy and geology. Tours can be self-directed or led by a member of Museum staff. Our vast behind-the-scenes collections offer an insight into the history of natural sciences, the history of the Museum itself, classification, preparation, collection and current research use. ​​​​​​Specimens, objects and archives are available for use in tutorial sessions to illustrate, provoke and bring topics to life. There are a number of smaller spaces in the museum available for tutorial sessions using the Museum's collections and expertise. Hands-on practical sessions using the collections can be arranged in the Museum’s teaching spaces. Students will be given an introduction to using the collections, and museum staff can lead or demonstrate if required. The collections are currently used in practicals on palaeontology, evolution, osteology, anatomy, bioanthropology and entomology. Our staff have a wide range of natural history expertise and can formally lecture or teach on relevant degree courses. There is also capacity to provide modules led and delivered by Museum staff. The Museum runs and supports a range of internships for students as well as hosting internship students, especially those seeking heritage practice-based experiences. Our staff supervise students for their dissertation and thesis research projects, as well as partner with other universities for collaborative doctoral awards. Oxford University Museum of Natural History has consolidated its presence through our high-quality higher education teaching and research. These statistics show the national and international impact of this work.